Malignant tumors are harmful to human health and have become a leading cause of mortality worldwide. According to the “global cancer report 2012” released by the World Health Organization (WHO), the global incidence of cancer is rapidly increasing. Early diagnosis and treatment are critical for the research and clinical treatment of tumors. 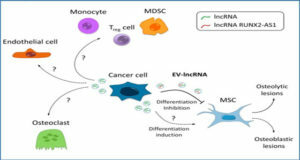 Furthermore, tumor molecular markers are of great practical value in tumor screening, diagnosis, prognosis, and evaluation of treatment efficacy, as well as for the follow-up study of high-risk populations. Thus, identifying tumor molecular markers for early diagnosis and prognosis has long been a topic of research. 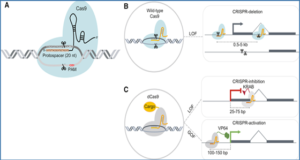 Long noncoding RNA (lncRNA) is a type of noncoding RNA greater than 200 nucleotides in length. 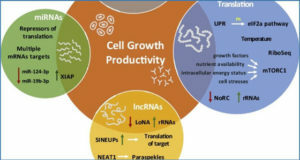 In recent years, lncRNA has been shown to play an important regulatory role in chromatin modification, X chromosome inactivation and transcription, translation, genetic imprinting, dosage compensation, and the regulation of protein activity and RNA alternative splicing. 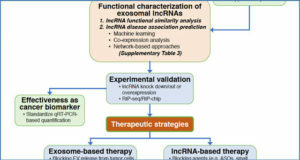 Furthermore, lncRNA has important potential applications in the diagnosis and treatment of malignant tumors. 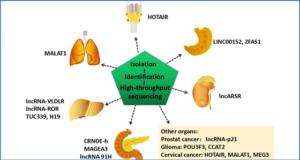 Recent studies have shown that a variety of lncRNAs can be used as tumor markers. 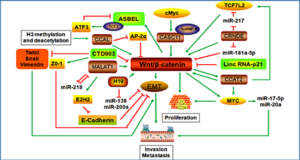 MALAT-1 (metastasis associated lung adenocarcinoma transcript 1) is significantly overexpressed in many types of cancer and has been shown to promote tumor cell proliferation, invasion and metastasis through polycomb 2 (Pc2), the Wnt pathway, the ERK/MAPK pathway and the SFPQ/PTBP2 complex, which is involved in tumor development. Thus, high levels of MALAT-1 expression may be related to tumor prognosis. However, most studies of MALAT-1 are limited by their small sample size. The GEO database includes a massive amount of gene chip data that profiles gene expression in many tumor types; in these datasets, MALAT-1 gene expression has been measured. To determine the value of MALAT-1 as a prognostic molecular marker, researches at Central South University, China systematically reviewed expression data and performed a quantitative meta-analysis using gene chip data from the GEO database combined with published literature. 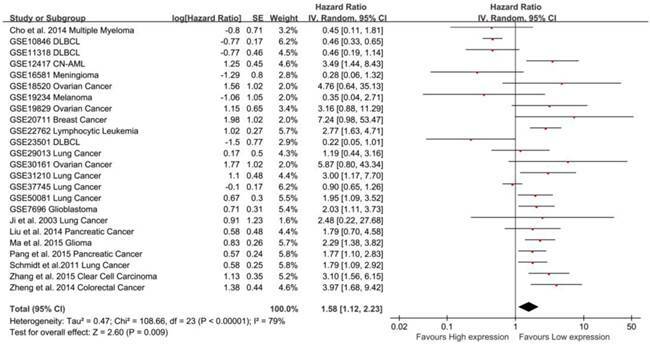 Twenty-two studies were used in the meta-analysis to obtain a pooled HR of OS (pooled HR: 1.57, 95%CI: 1.07-2.29).